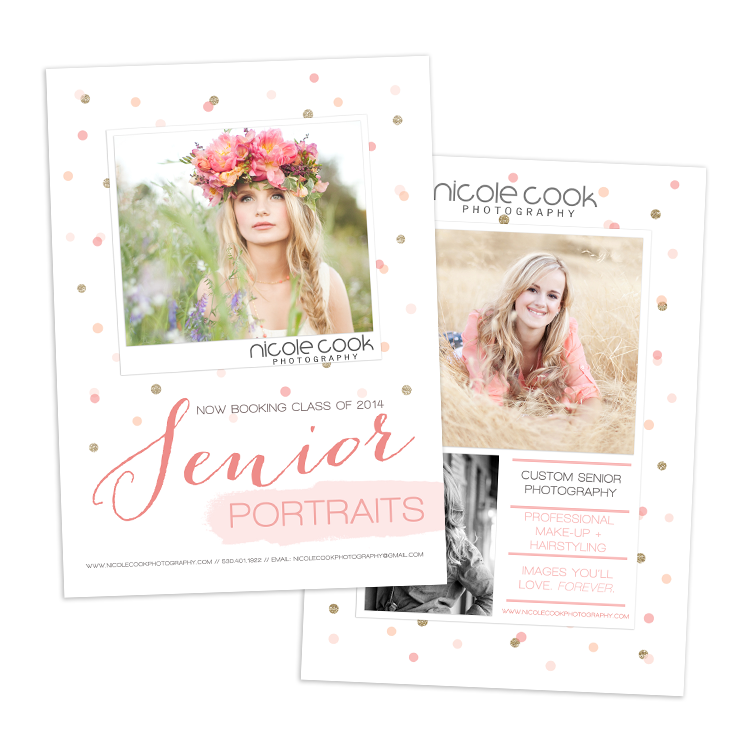 Yesterday I received an email from Nicole Cook, one of the wonderful photographers I work with. If you haven't checked out her work please do, she is an exceptional talent! She had one of the senior announcement templates into a promo card and wanted to show me. The design she used was the Amber 5x7 card and I think it turned out wonderfully! This is a great example of how you can use a card template as a promo image on Facebook, your blog or mailing list in addition to it's normal print use. If you use a template in a non-traditional use I would love to hear from you! Please email me anytime and I can feature you too!